Eleven ventures will join the four-month immersive accelerator programme to develop their AI for good solutions. 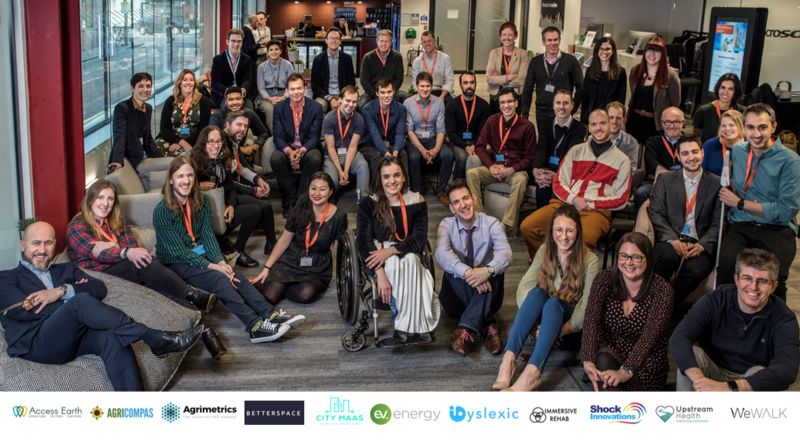 All ventures taking part have a social mission and are focused in the areas of either AI for accessibility or AI for environmental sustainability. The programme, developed in partnership with Microsoft, will help demonstrate that the biggest opportunity for AI is not for AI to shape our future, but for people to shape AI to make the future we want to see. The social business cohort will benefit from a curriculum delivered by industry experts and thought leaders, engage in workshops and have access to a global network of successful scale-up entrepreneurs. Access Earth is a free platform that allows you to find and rate places by your accessibility needs. Agricompas specialises in agricultural data analytics to create knowledge and decision support for all users in major crop value chains. Agrimetrics provides, connects and analyses complex data to drive greater productivity for agrifood businesses and deliver food sustainably. The BetterSpace mission is to turn the tide on mental illness, by creating a world-leading mental wellbeing recommendation algorithm. City MAAS has a vision to reduce congestion and emission in smart cities using Blockchain and AI. City MAAS Assist is a pilot programme that helps people with disability to travel in smart cities. ev.energy enables electric vehicle owners to enjoy savings on the cost of EV charging and a green motoring experience, delivered from renewable electricity sources. iDyslexic is a new social app for those living & working with dyslexia & ADHD, with built-in secure classrooms connecting parents, students, teachers and caseworkers. Immersive Rehab creates interactive physiotherapy programmes in Virtual Reality that improve the effectiveness of physical & neuro-rehabilitation. ThermaFY from Shock Innovations, simplifies thermography by making it easier to compare and interpret thermal images. Upstream Health provides innovative technologies and new service approaches for health and social care teams, making a positive difference to clinicians, patients and families.